Take your flax crackers and break them into chip sized pieces. Cut up avocado, cucumbers and carrots. 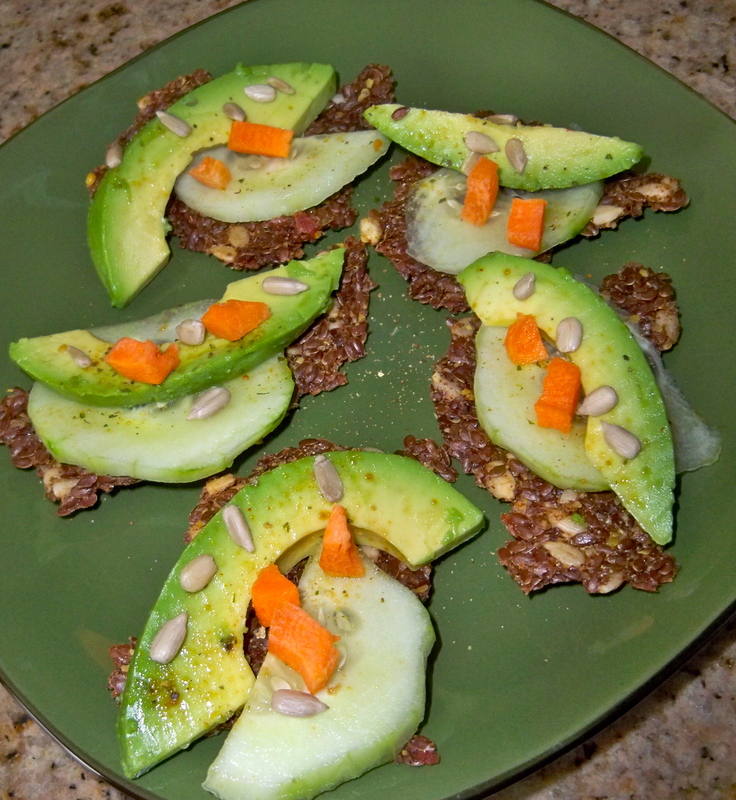 Assemble the avocado, cucumber and carrots atop each cracker. Top with sunflower seeds. Makes a wonderfully affordable and super healthy appetizer or cracker snack high in protein and low in fat. Many thanks for the good post. It in fact was a amusement account it. Look advanced to more added agreeable from you! By the way, how can we communicate? Please send a email! Cheers.